FTC: FYI: I was given a review e-copy in exchange for an honest review. Twelve-year-old BFF’s Ginnie and Tillie, want to be sisters. Ginnie's widowed dad plus Tillie's divorced mom could equal a lifetime of round-the-clock girl talk and slumber parties. Too bad Dad vowed to never marry again. Ginnie and Tillie form a secret club and come up with the perfect mission to change his mind: ‘Operation Secret Sisters’. Before long, Tillie seems happier about gaining a dad than a sister. Ginnie suspects that Tillie has turned ‘Operation Secret Sisters’ into a scam called ‘Operation Steal My Dad.’ Things get more complicated when Ginnie stumbles across her real mom’s hidden journals. Ginnie can finally get to know the mother she doesn’t remember and Dad doesn’t talk about. When Dad discovers she has the journals, he takes them away. Ginnie needs to figure out what the big mystery is before her relationship with her father and her best friend are ruined forever. This is a cute middle-grade book that girls will enjoy.It is a story of friendship and family. It is a clean, story with values intertwined into it's pages. It's nice to have books out there, that you don't have to worry about pre-reading before your kids or students read it. There is also a mystery as Ginnie discovers something about her past. In the end, both girls realize what is most important...family. 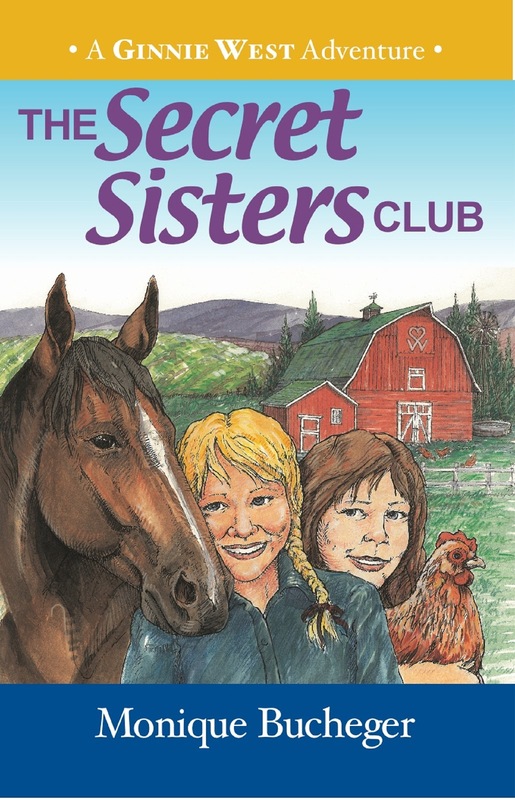 Any tween who enjoys reading about horses, friends and a simpler life, will enjoy The Secret Sisters Club and the whole Ginnie West Adventure series. 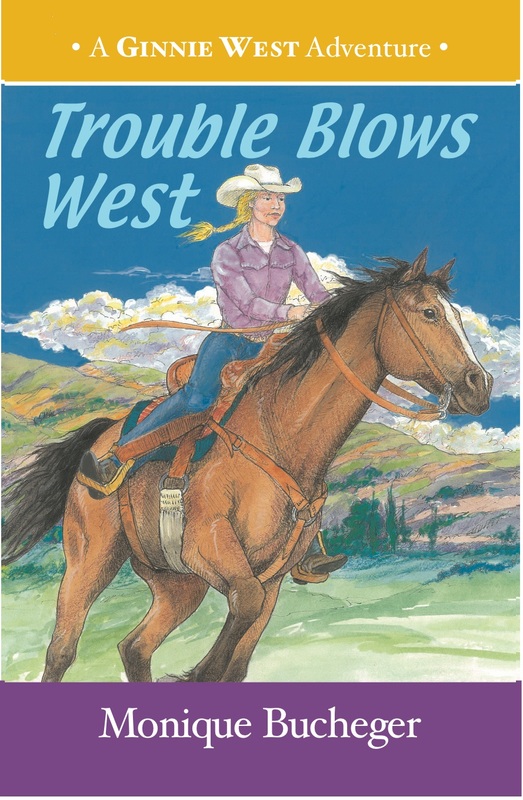 If you like farms, friends, horses, and secrets, you’ll love: Trouble Blows West: A Ginnie West Adventure. So saddle up and be ready to ride with Ginnie as she explores the true meaning of friendship. Putting her body in motion before her brain is in gear creates a mountain of problems for 12 year-old Ginnie West. She is certain that defending her twin brother, Toran, from the biggest bully in sixth grade was the right thing to do. But Ginnie couldn’t be more wrong. She quickly figures out that Toran doesn’t appreciate being rescued by a girl any better than Charlie likes being knocked down by one. When Charlie seeks revenge on Ginnie, Toran sets aside his anger and helps her plot a playback prank at Charlie’s house. Sadly, Ginnie learns that Charlie has a reason for being a bully when she sees his dad drop him to the floor like a ragdoll with one awful blow to the chest. Realizing he's a boy in big trouble, Ginnie switches gears and decides to be his ally, even if he won’t let her be his friend. Twelve year-old Ginnie and her BFF, Tillie, schemed to get Ginnie’s widowed dad to fall in love with Tillie’s divorced mom. It worked. But before they could become ‘for real’ sisters, Ginnie stumbled across her dead mom’s journals. Which was totally awesome sauce… until her dad took them away and won’t tell her why. Now all their plans are starting to unravel. If that’s not bad enough, Ginnie’s favorite uncle drops the mother of all bombshells and leaves her in a maze of uncertainty. While her head is still spinning from that news, a blast from her late mother’s past shows up and makes Tillie goes nutburgers. Ginnie realizes her best friend has her own agenda and Tillie’s plans to merge their families may not be so innocent. 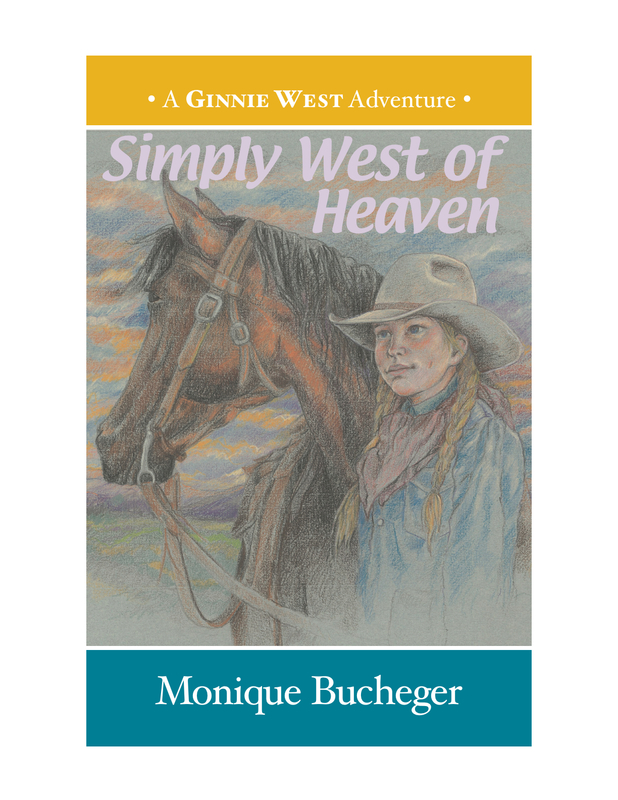 SIMPLY WEST OF HEAVEN is a contemporary MG novel that follows Ginnie West as she tries to make sense of one too many curve balls tossed her way in the most pivotal summer of her life. Monique Bucheger was born in Landstuhl, Germany to active duty Air Force parents. After watching her creative writing teacher's astronaut son lift off in the Space Shuttle Endeavor, she recalled a promise to her teacher to write the books only she could write. In January of 2011, her first book made it through the first 3 tiers of Amazon's National BreakThrough Novel Award Contest to the top 5%. 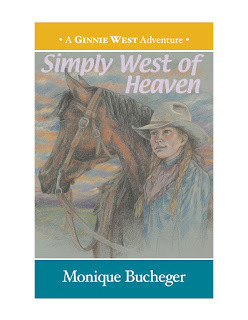 In November of 2012 Mrs. Bucheger was offered a 3 book contract for her Ginnie West series. 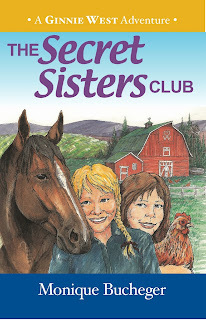 Book one: THE SECRET SISTERS CLUB: A Ginnie West Adventure was published March 8, 2012. 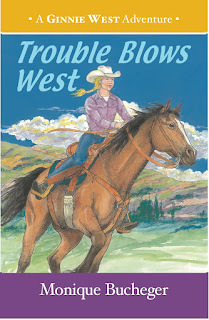 Her second book: TROUBLE BLOWS WEST: A Ginnie West Adventure was published April 14, 2012. Mrs. Bucheger has championed the cause of children as a foster parent to over 120 children and her books embrace and empower people on all sides of the child abuse issue.